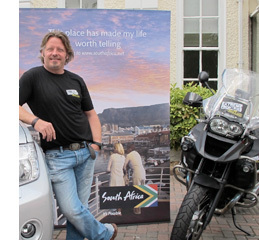 Bike Trac, the renowned motorcycle security tracking system from Road Angel Group, has been selected by Extreme Frontiers: South Africa, as presenter and adventurer Charley Boorman begins filming the Channel 5 TV series this week. Following the successful 'Extreme Frontiers: Canada' series, that was first screened in 2011, Boorman will once again get under the skin of the country he travels across, on his BMW motorcycle, but this time all tracked 'live' via Bike Trac technology. Bike Trac's Bill Taylor explained, "Our association first began with Charley when his own bike was stolen. 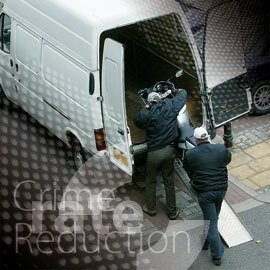 Thankfully the bike was equipped with our system and so within just a few hours we managed to retrieve the bike. Of course, most other tracking systems only offer that function, but Bike Trac offers the ability to track journeys via an online web portal, so with this unique function, fans of the series can track Charley and the filming live at the Extreme Frontiers website."